Untwist paper and cut in half lengthwise. Measure 9″ from one end for the tail. Make a 3″ loop on each side of your hand. Twist the ribbon and make another 3″ loop until you have four loops on each side of your hand. Bring the ribbon around your thumb to make a center loop. Bend wire in half and secure center of bow by inserting wire under center loop. Twist. 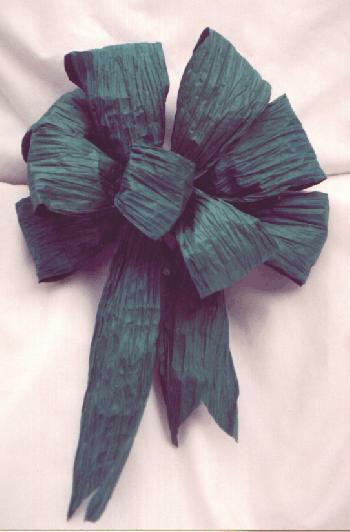 Use the remaining wire to attach bow to wreath or other projects. To achieve an alternate look, substitute Am-Twist metallic and iridescent for paper twist.